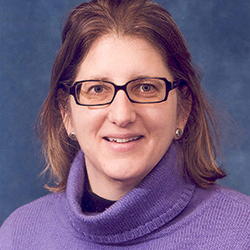 Alexandra Minna Stern is Professor in the Departments of Obstetrics and Gynecology, American Culture, and History, and is a core faculty member in the programs in Latina/o Studies, Science, Technology, and Society, and Sexual Rights and Reproductive Justice. Professor Stern's research has focused on both the history of the uses and misuses of genetics and the history of infectious diseases. She is the author of many books and articles including Eugenic Nation: Faults and Frontiers of Better Breeding in Modern America (University of California Press, 2005), which won the American Public Health Association's Arthur Viseltear Award for outstanding contribution to the history of public health. Her most recent book, Telling Genes: The Story of Genetic Counseling in Modern America, was published by the Johns Hopkins University Press in 2012. She has received grants from the National Library of Medicine-NIH, Ethical Legal and Social Implications of the Human Genome Project-NIH, and the National Endowment for the Humanities for her research into the history and ethics of medical genetics. Her RWJF Investigator Award supported a collaborative study of the experiences of more than 40 U.S. cities during the 1918-9 influenza pandemic, and resulted in numerous publications and a digital archive. Recently she launched the first phase of a collaborative project to qualitatively and quantitatively analyze 15,000 eugenic sterilization authorizations processed by the state of California in the 20th century, and intends to incorporate this dataset and its findings into a large-scale digital archive on the history and legacies of eugenics in the United States.